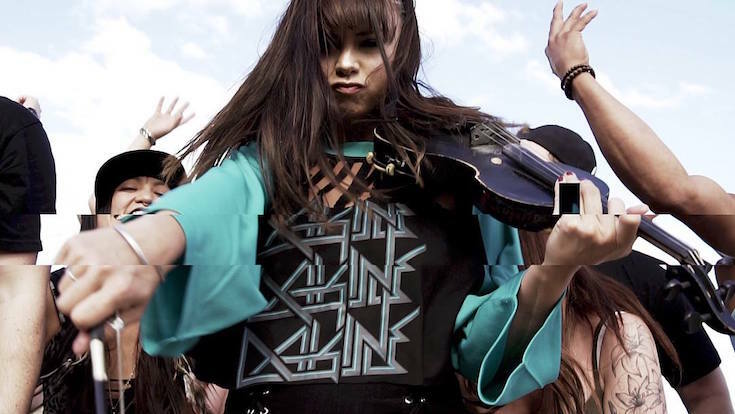 Apparently nothing at all, as Kytami has already been dubbed a ‘music revolutionary’ by Whats Up Magazine USA, a ‘violinistextremist’ here at home, and has been summoned to bring her violin thunder to audiences as far reaching as Taiwan, Dubai and Berlin. After co–founding the critically acclaimed global–fusion sound–storm Delhi 2 Dublin in 2006 and subsequently co–songwriting them toward international musical success until 2010, Kytami surged forward with her own solo career, bringing the essence of her music to audiences in its purest possible form. Through an alchemy of classical, fiddle styles fused with the heavy bass elements of DnB, Dubstep and Hip Hop, Kytami has managed to soar above not only the constraints of musical genre and labeling, but has forged a path so bold and unique that it won her awards such as "Live Act of The Year" at the 2013 Vancouver Island Music Awards and "Electronic/Dance Recording of the Year" at the 2013 Western Canadian Music Awards. This girl doesn't just play shows, she detonates dance floors. 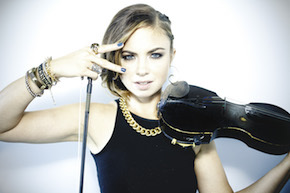 Kytami is internationally renowned for one thing: she rocks the fiddle like a woman possessed… and the audience dances to match. From Germany to Hong Kong and Joshua Tree Festival to Shambhala, one thing is affirmed at Kytami concerts time and again: If you dare witness this violin diva take the stage, be prepared to wear through not only the soles of your dancing shoes, but perhaps the version of reality you brought to the door. "She does the impossible. She could make you crowd-surf to Pachelbel. People call her a ‘rock-violin pioneer;’ people call her ‘the live show of a lifetime’ … I guess they’ll keep trying to name the force that is Kytami but she ll never let them." "The Kytami set blew people away. Her set was one of the fullest daytime audiences I’ve ever seen here. People were so exhausted from dancing, most of them left the site to go to the nearby beach. Ky and Brandon were both friendly, together and complete professionals"